I am so tired of going from burst of outrage to burst of outrage in Alberta. 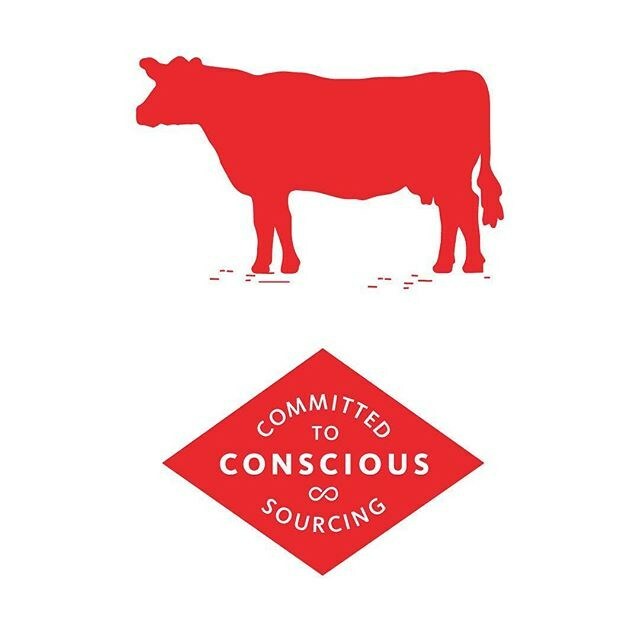 A local restaurant chain, Earl’s, announced that they were pleased to be the first chain in North America to serve certified humane beef as part of their commitment to conscious sourcing. Apparently Earl’s could not find a source of enough Canadian beef that was certified to meet their expectations, so they are getting their beef from a Kansas producer. It is so weird to see that so many Albertans conflate a local industry with a purchasing obligation for local consumers. Yes, Earls started in Edmonton. Yes, Earl’s headquarters is in Vancouver. Yes, both of those are in Canada. But what isn’t in Canada is a process to certify that beef is produced in a humane way. That’s the problem. It’s also distressing to see Albertans acting as if this is an out of the blue attack on Alberta beef producers. It’s not out of the blue. Unless you live under a rock you’ve probably seen this ad by A&W about using beef raised with out any added hormones or steroids. Or this story about McDonald’s switching to cage free eggs. The precedent is there. There is growing consumer concern about animal welfare. Earls, and A&W, and McDonalds are not creating this issue, they are responding to it. It was not an attack, it was a business decision. What this move by Earl’s makes them is an innovator and an industry leader, not a saboteur. It’s not an attempt to do anything more than respond to market trends. That’s what resilient, strong companies do. Also worth noting: the point is only marginally whether the beef is raised humanely. The point is the certification the producer provides. The point is a standardization and definition of the minimum acceptable treatment of animals raised for food. This is not a targeted snub of Alberta beef producers. It could be an accidental rebuke of Alberta’s cattle industry for not staying ahead of the curve though. Another company, an American company, beat them to the punch and were earlier to respond to a growing market demand. It’s a pretty poor business model where producers get angry at consumers for choosing what product they want and going to the business that gives it to them. I guess Earl’s didn’t consult the Alberta industry when they made their decision. I didn’t consult Safeway when I switched to buying my cheese and pasta at Italian Centre, or my smoked meats at that market in Holes Greenhouse, and I won’t consult them when I start buying my produce at Farmer’s Markets this summer. I’m not clear why consultation was an expectation. This is not restaurants telling consumers that Alberta beef is not good enough. Earl’s, and MacDonald’s, and A&W are reacting to the shift in consumer perception about the the way animals are treated in all the meat producing sectors – not just beef. They are taking their cues from consumers, not dictating them. This is not a battle for social license. Social licence is the level of acceptance or approval CONTINUALLY granted to a producer by their consumer. Social license changes over time. Companies have to constantly earn and re-earn social license. Companies need to conduct constant environmental scans and maintain an awareness of shifts in their market. Alberta beef producers could have Earl’s as a customer if they want Earl’s as a customer. Earl’s is no longer their customer because that is what happens in a free market when you don’t/can’t give the customer what it wants. Earl’s want a certification. If the Alberta beef industry is already doing all these things then this is an easy fix for them. All they have to do is finish development of the certification program. If they can’t then they need to address gaps in industry standards, because this is where the future of the industry lies – in open, transparent and humane standards for the production of animal products. It’s happening in the fashion industry, it is happening with diamonds, it is happening with laundry detergent, it’s why companies are boycotting North Carolina. Ethical consumerism is a growing global movement. No amount of complaining will make that less of a reality for any industry. My message to Alberta beef producers is simple. Get together, draw up some parameters and a good plan for enforcing and regulating the standards you choose, and you’re golden. Earl’s has indicated it would consider using Alberta beef if this happened. Adapt or die. You can do this. It can be done.